There are few plays in British theatre that speak so directly, resonantly and truthfully to the experience of the black woman. Winsome Pinnock’s first full-length play does this with such profound eloquence – it is rousing to watch. Written in 1987, Leave Taking is the story of a mother and her two daughters, and their pursuit of self discovery in strange surroundings. Enid Matthews (Sarah Niles) travelled from Jamaica to England to in search of a better life. She’s fiercely proud of yet conflicted by her new Englishness – her place of comfort is with the neighbourhood Obeah Woman (Adjoa Andoh). Her teenage daughters Del (Seraphina Beh) and Viv (Nicholle Cherrie) try to find their sense of self in dance floors and books, respectively. 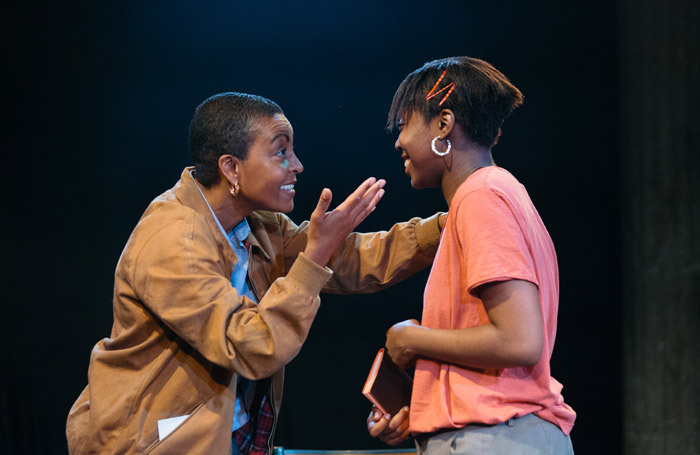 The ensemble in Madani Younis’ production is strong, though it does at times feel like the weight of Pinnock’s world is too much for relative newcomers Beh and Cherrie. Wil Johnson delivers a spirited and snake-hipped Uncle Brod, providing comic relief in all the right places. Rajiv Pattani’s lighting reflects off a pool of water in Rosanna Vize’s set to create an eerie ripple effect on the ceiling. It feels like a nod to the mystic powers of the Obeah tradition. Leave Taking is timely in its politics, yet timeless in its themes. It’s a play about identity, and home, and the sacrifices we might make to find out what, exactly, those words mean to those living in foreign lands. And as long as we are making these journeys, this play will remain a classic.